Vesicular structures can be present anywhere in the gland. In chickens, their diameter ranges from about 20 Âµm up to 500 Âµm. Size and number tend to increase with age. The luminal content varies between colloidal and granular. 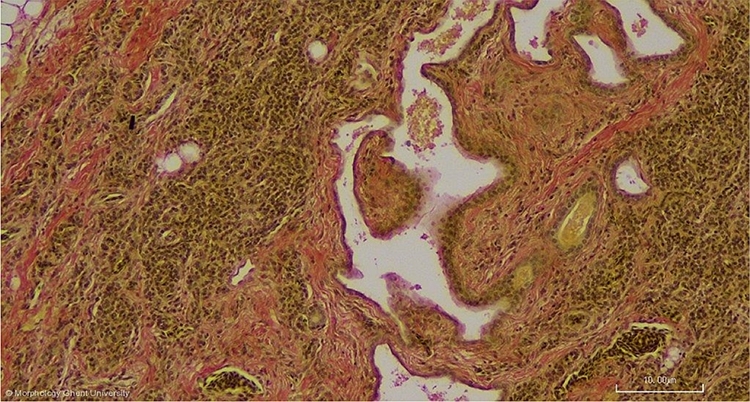 The lining epithelium normally is a cuboidal or squamous epithelium, but also a low columnar epithelium can be seen.